We haven’t touched on a smartphone from Xolo since earlier this year. Today the company has announced the Xolo Era 2, which is set to debut with entry-level specs for consumers in the region. Budget-friendly handsets are a dime a dozen in some locales, including India. Well, as of today you can add another to that list with the Xolo Era 2. It’s the follow-up to a device of the same name, but with a few updates under the hood. That means you aren’t going to have to shell out a fortune for the Xolo Era 2, but you also won’t be impressed by the specs. The Xolo Era 2 clocks in with a 5-inch IPS panel sporting a resolution of 840 x 480. Beneath the glass, you will find a quad-core chip clocked at 1.3GHz and backed by 1GB of RAM. The internal storage is listed at 8GB, but expandable up to 32GB through the usual means so you won’t need to turn to the cloud right away. In terms of cameras, the Xolo Era 2 has a 5MP sensor on each side. The rear has an LED flash and a f/2.0 aperture while the front-facing camera also has an LED flash. Connectivity options include Wi-Fi, Bluetooth 4.0, GPS, 4G VoLTE, FM Radio, and a 3.5mm headphone jack. The Dual SIM handset is powered by a 2,350mAh battery and runs Android 6.0 out of the box. You will also find several of the company’s software tweaks including Flip to Mute and Cast Screen. 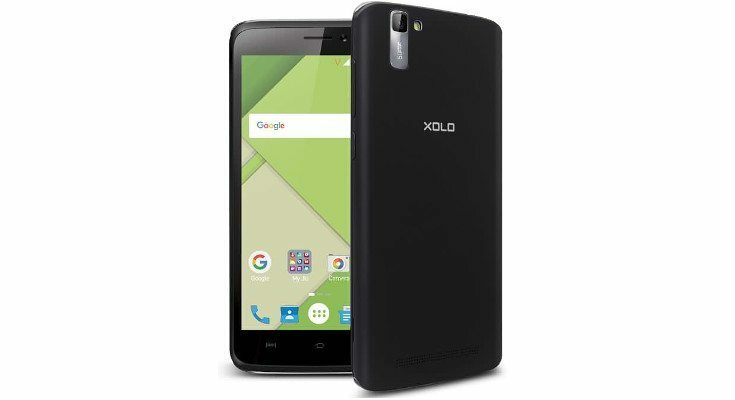 The Xolo Era 2 price is listed at Rs. 4,499 for India and it will be available in three different hues with Nile Blue, Pyramid Gold and Black. The handset is already open for registration and will go on sale through Snapdeal on October 27th.